Billie Blair on the cover of Interview magazine, August 1974. Image: Lipstick Alley. Billie Blair in Donna Karan for Anne Klein, Virginia Slims advertisement, 1975. Image: Stanford University. 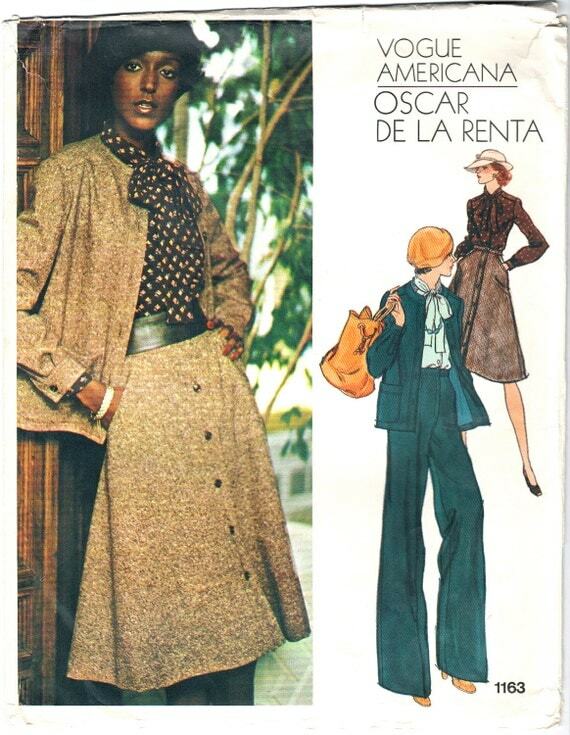 Vogue 1163 by Oscar de la Renta (1975) Image: PatternVault on Etsy. 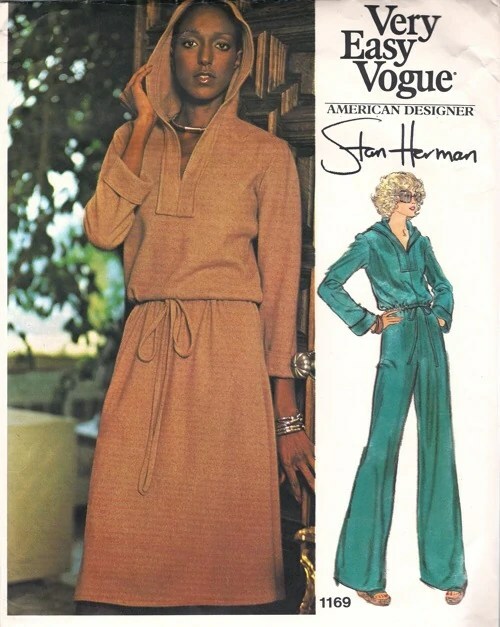 Vogue 1169 by Stan Herman (1975) Image: Vintage Pattern Wiki. 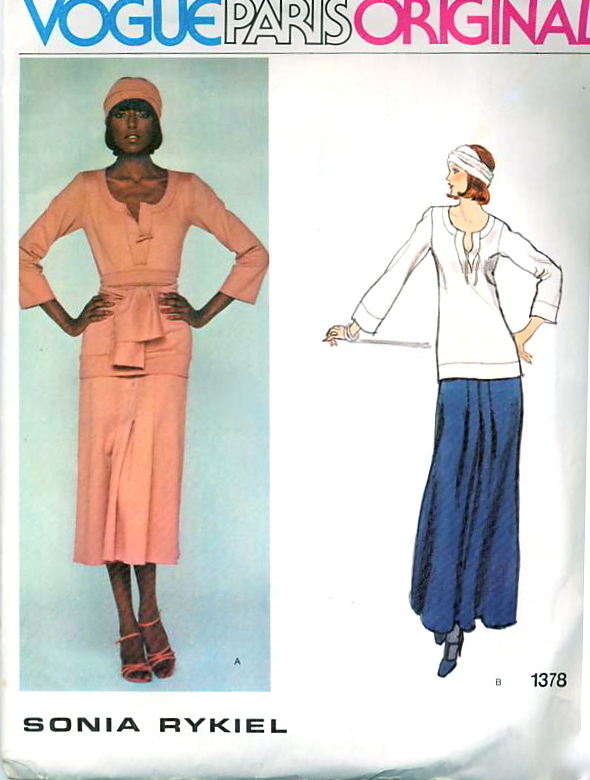 Vogue 1175 by Nina Ricci (1975) Image: Vintage Pattern Wiki. 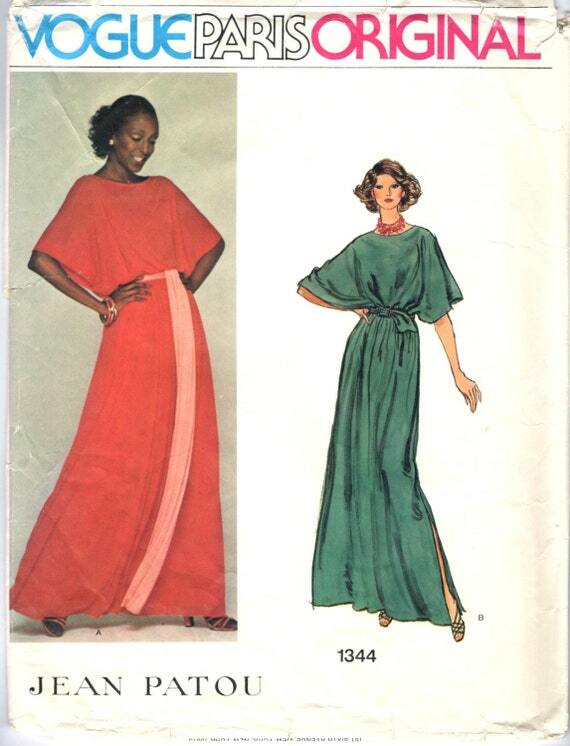 Vogue 1344 by Jean Patou (1975) Image: PatternVault on Etsy. Vogue 1346 by Christian Dior (1975) Image: Etsy. 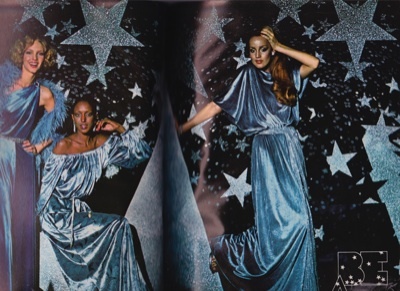 Vogue 1376 by Nina Ricci (1976) Image: Betsy Vintage. Vogue 1378 by Sonia Rykiel (1976) Image: Etsy. 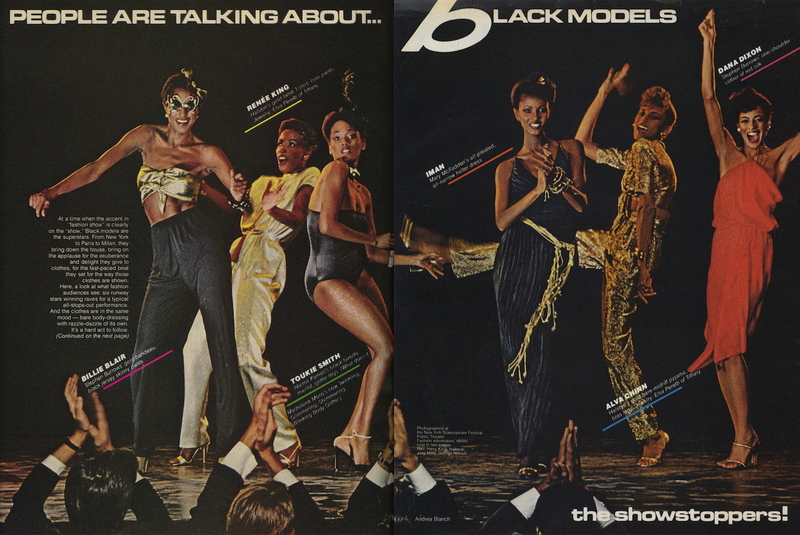 Billie Blair, Renée King, Toukie Smith, Iman, Alva Chinn, and Dana Dixon in Vogue, December 1978. Photo: Andrea Blanch. Models are still urged to deduct a few years from their age. If you haven’t read Pricing Beauty: The Making of a Fashion Model by Ashley Mears, it’s quite a revelation. She even has charts of the pay scales for male and female models. Mears returned to modeling to research her master’s thesis, so she was able to get a lot of “insider” interviews — and, since she was 22 or so, she was encouraged to say she was still in her teens at job interviews. What a beautiful woman. I love how she looks in the Rykiel dress. Another great article – thank you.